The Google Update seen on the 16th June appears to have benefited News websites, or those websites with a lot of fresh content. Published: Jun 29, 2015. 10:22 +0100. On the 18th June 2015, we reported on what seemed to be one of the largest Google Updates ever recorded by Moz. While Pete Meyers at Moz appears to find an explanation for why the SERP tracking tools were going crazy (Wikipedia moving to HTTPS), it didn’t fully account for all the movement. Fortunately, the founder of Searchmetrics (who has access to a lot of fresh data) noticed that News \ Fresh Content websites seemed to have benefited from this update, and we will delve into this in more detail shortly. Firstly, let’s go through what we know. Gary Illyes at Google ruled out an HTTPS update in response to the theory that this was somehow HTTPS related. John Mueller ruled out Google Panda as well as Penguin in one of his Webmaster Central Hangouts and that it was a routine update. So with Moz’s theory (HTTPS update) out the way, and the major named algorithm updates excluded, this must be something new. 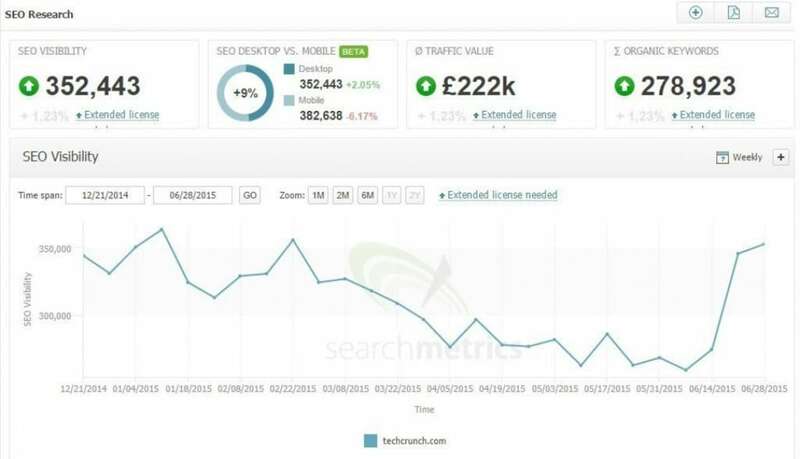 There is an excellent and well-supported theory by the founder of Searchmetrics, Marcus Tober, which appears to show that websites with news or fresh content have benefited the most from this update. 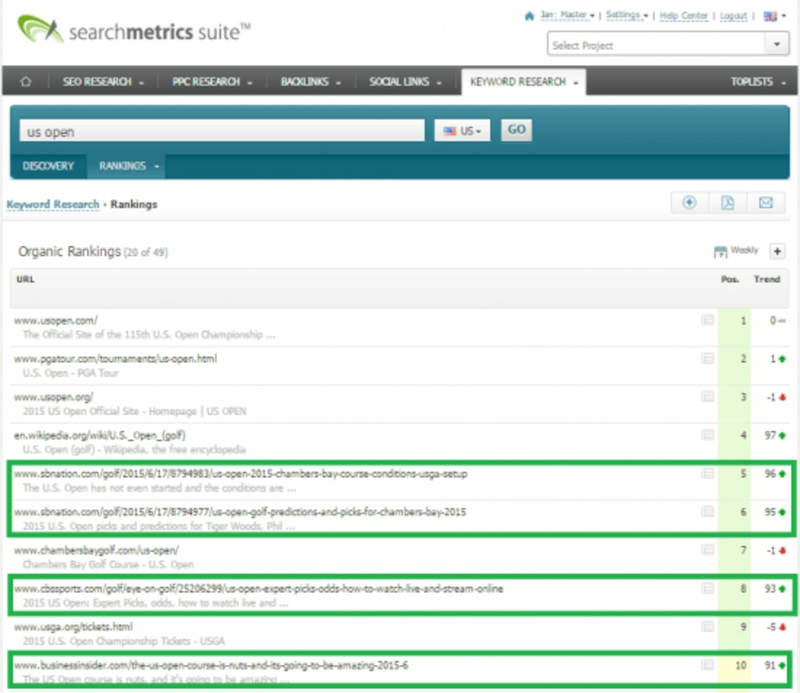 TechCrunch seo visibility. © SearchMetrics. Those domains have largely benefitted for keywords like celebrity names. To cut it short: Many of the (organic) SERPs regarding the affected keywords look like an extended News box. And as I said at the beginning, the data has already changed while I was writing. It would seem that this update could signal a continued volatility in the SERPs as Google consistently correlates trending keywords to fresh content and gives a boost to those websites chiming in on the conversation, whether by news articles or simply fresh, relevant content. This should make the SERPs much more up to date when dealing with hot topics. It seems to be a trend that whoever discovers the cause of a Google Update gets to name it. In this case, Marcus decided on the name “News-Wave” due to the update relating to informational and newsworthy keywords. Marcus also pointed out that certain keywords on existing articles may become newsworthy when something happens that is related to that keyword. For example, an established biography of a well-known actor may become newsworthy if that actor has just landed a role in a new film, or launched a new charity. Webmasters have known for some time that fresh content will give you a temporary boost, and it would seem that this update is an extension of this. We suspect that Google will be monitoring the algorithm carefully to ensure they get a balance of both recent newsworthy content, and older more authoritative content. Only 4 out of the ten results are new entries, which still implies that older content still has an important place, but equally opens up a massive opportunity for new websites to rank highly for short periods. While this update is very new, and SEO specialists are still digging into the finer details, it would seem that actuality is now crucial for determining the searchers intent. With the relaunch of Google Trends at the same time as this update, there appears to be substantial evidence that Google Trends now plays a crucial part in Google Rankings for “hot topics”. As the name of the update suggests (“wave”), the effect of the update should come and go as topics go in and out of popularity. This will mean the general volatility of the Google Search Results should increase.